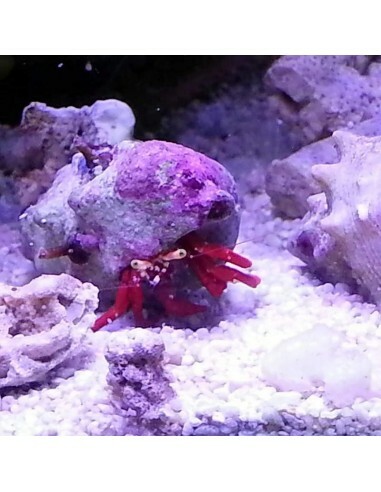 The Scarlet Reef Hermit Crab or Red Reef Hermit Crab / Red Legged Hermit Crab has red claws and a yellow face. Is a valuable member of the Clean up Crew, as it eats various micro algae and the red slime algae / Cyanobacteria, and will sift the sand for the search of food. Like all crabs, it will need abandoned snail shells while it is growing, or it will attack your snails to get their shell. Beside of its appetite for various micro algae, it is as well a good sand sifter and therefore valuable member of the green up crew. 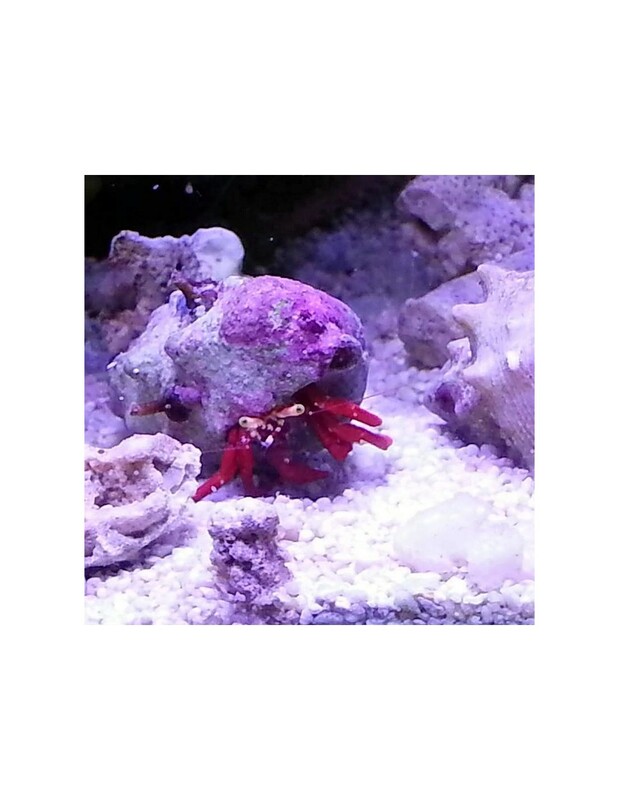 It will need sufficient algae, dried seaweed and meaty food, to keep it healthy and happy.